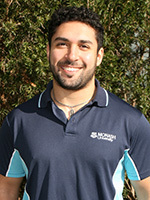 Second year student Josh says Monash Occupational Therapy was the best decision he’s ever made. Both the course and the University provided the passion and people-focus he was looking for. 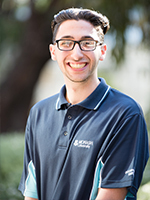 He’s enjoyed working with a range of people through clinical placements, and thrived on being part of the allied health community, bonding with fellow students and OT staff. Completing a three-week rural placement in Tasmania was a “life-changing” experience for Josh. “I was working in a unique paediatric feeding clinic which assisted children with eating difficulties. I also worked in the acute ward, conducting initial assessments on a variety of clients. My supervisor also gave me the chance to participate in client home assessments. Initially, what drew me Occupational therapy was the adaptive equipment and gadgets designed for people with disabilities to perform daily activities. The more I found out about the profession, the more I fell in love with it. The best part about my university experience of studying Occupational Therapy at Monash University has definitely been the sense of community and the support I’ve received throughout the course. The staff are friendly and supportive of my learning and fellow students in the course are also welcoming and approachable which allowed me to be fully immersed in the learning and culture throughout my studies. I’ve had the opportunity to go on clinical placements at a variety of settings. Hands-on work has enabled me to learn that there is no fixed intervention to a condition or client and that every individual is unique. This experience has definitely challenged me to think more broadly and consider individuals’ needs. What has captivated me the most is that the little things an Occupational Therapist can do, can make the biggest difference in a person’s life. My studies have not only equipped me with knowledge and skills for the profession of Occupational Therapy, but also fostered my personal growth and shaped the person I am today. 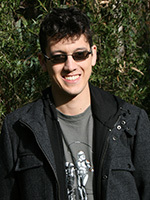 I chose Monash because of its reputation and the appeal of a smaller campus reserved for their allied health courses. Many of my lecturers and tutors are practising therapists and experts in their fields, who are generous in both their time and knowledge and very approachable. I’ve just completed my first placement at Dandenong Hospital (Mental Health unit). 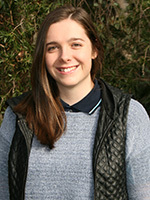 The placement exceeded my expectations and has given certainty to choosing OT as a career. I was selected to be part of the Monash Health Clinical School, which means all my placements throughout the course will be within the Monash Health network. The plan is to have placements across a variety of settings, so my next placement will be in a physical health setting and later, a placement in the community. I have learnt so many skills throughout this course that will assist me in areas that extend well beyond my work as an OT. One of the things that excites me so much is that OT is a field that has so much versatility – I could work in a wide range of settings and continue to utilise the skills that I have acquired. The course constantly gives students the opportunity to excel. Our lecturers have so much knowledge to share and are always challenging us to better ourselves, to ensure we become the best practitioners we can be. Many of our lecturers work in the field as well as teaching, which ensures we receive the most up-to-date information about OT practice as we learn. 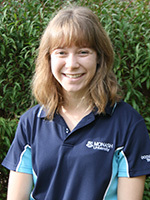 I couldn’t be happier in my choice to study OT at Monash. I am so grateful that Occupational Therapy is offered at the Peninsula campus. The staff involved in the course are all passionate and very involved, every step of the way. They provide me with the tools and advice I need to grow and excel as a student. 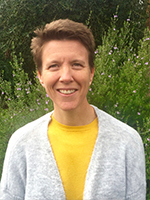 The Occupational Therapy course has challenged my thinking and has encouraged me to start thinking outside the box, which has allowed me to begin to truly understand individuals, communities and the Occupational Therapy profession. I've learnt so much already about client-centred care, communication, and furthered my understanding and perspective on issues that affect individuals. The lecturers and tutors are approachable whenever I need assistance with my work. The highlight of the course so far was my placement in a rural hospital, where all that I had learned so far could be observed in practice. I look forward to graduating in a few years and working together with other professionals in the health care industry. 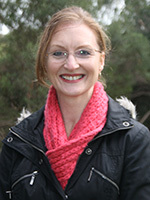 I am a mature age student with a family and absolutely love studying Occupational Therapy. The course has been exciting, challenging and rewarding, and I have gained a wealth of knowledge, providing me with a strong foundation to learn and develop skills essential to fulfil the important role of an OT. My placement experience has given me great insight into the role of an OT and increased my passion to chase this dream career. I feel passionate about making a difference to peoples’ lives, so the essence of occupational therapy resonates with me. The more I learn, the more OT fascinates me. With OT, you can work anywhere in the world, in any field. You could be working with spinal injury one day and cancer or intellectual disability the next. You can work in community health or hospitals, or in health promotion at all scales and levels. I love that Monash takes a hands on approach to OT, and that my classes include practicals, labs, and group learning sessions. Gaining placement experience so early in first year gave me the confidence that the course I was doing was right for me, and helped give me a picture of where I want to go in my career. The fact that OT is a helping profession contributes to creating a helpful learning community. 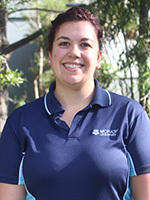 The staff are so approachable, and always happy to help out with coursework and placement advice; things that make transitioning to tertiary study so much easier! What I have learnt so far is invaluable. I often apply the knowledge I've gained studying OT into everyday life, including volunteer work for mental health services, project management for my part time job at a retirement village, and even finding proper supportive seating for my mother, who has chronic back pain! 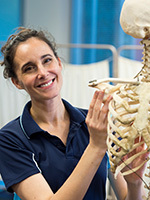 OT is a broad field of health, and this course covers many areas, including mental health, physical rehabilitation, paediatrics, acute roles in hospitals, chronic diseases, and even OT roles within teams of other health professionals. We also get involved with project management so that when we graduate, we have multiple options, and also have the opportunity to get involved in advocacy and health promotion. If you're interested in health care, helping people, and getting involved in the community, OT covers almost all bases and is the profession for you!